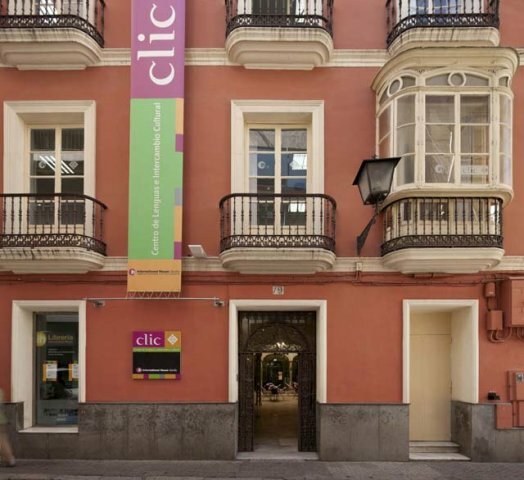 Spanish Courses in Seville, Spain at CLIC International House Seville. 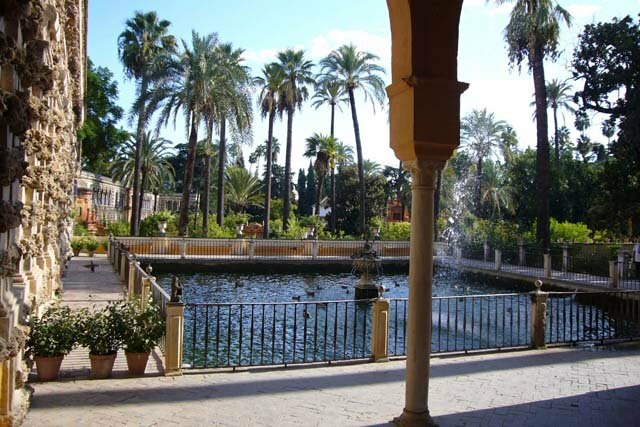 Seville’s white-washed grace, jasmine balconies, and exotic parks will convince you that romantic cities still exist. 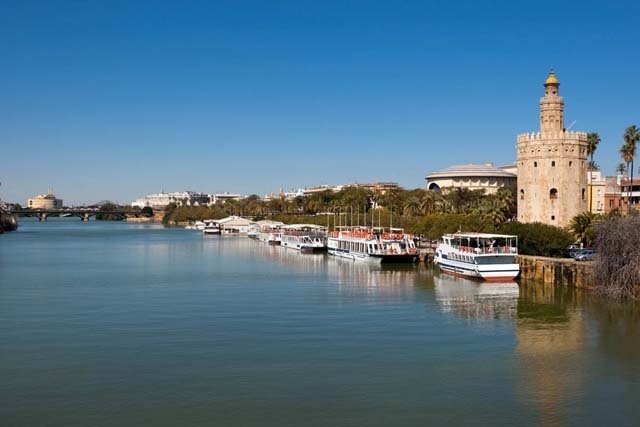 The site of a small Roman acropolis built by Julius Caesar, a thriving seat of Moorish culture, the focal point of the Spanish Renaissance, and the guardian angel of traditional Andalusian culture, Seville has never failed to spark the imagination of newcomers, great composers and writers. 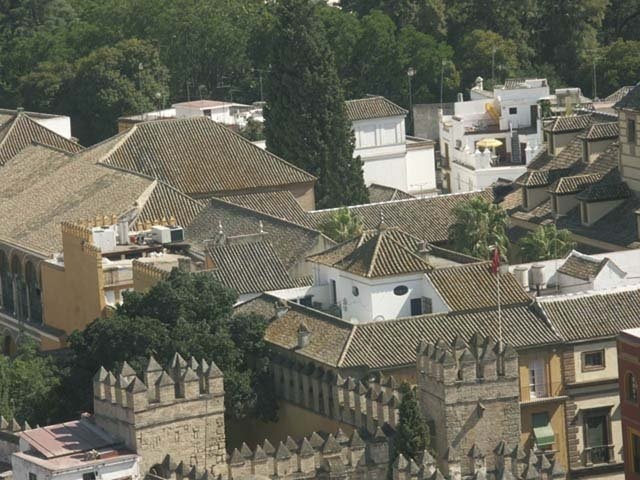 The Cathedral and the Giralda tower, next to the “Barrio de Santa Cruz”, defines the city center. 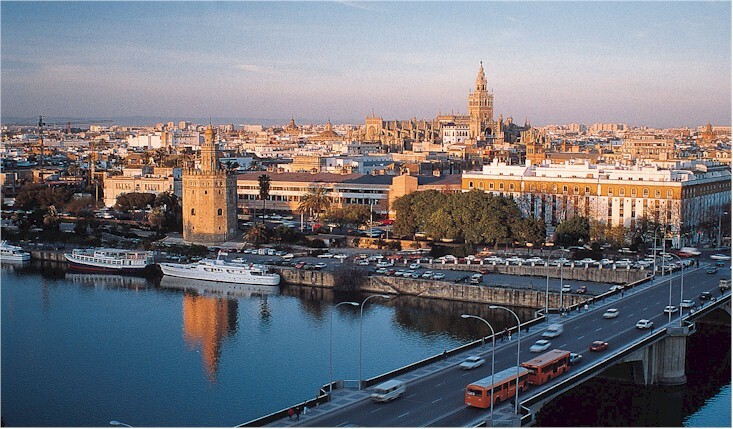 The Guadalquivir river flows through the town. The city has lost none of this charm. Today, skillful matadors outwit raging bulls every summer Sunday. Clapping, tapping, and flamenco strumming echo through the night air, and pilgrims, zealots, and parade enthusiasts gather annually, during Holy Week and the Feria de Abril. 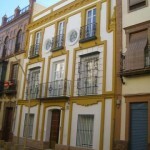 Most of the city, including the alleyways of the old Barrio de Santa Cruz, is on the east bank, while the Barrio de Triana is on the west bank. 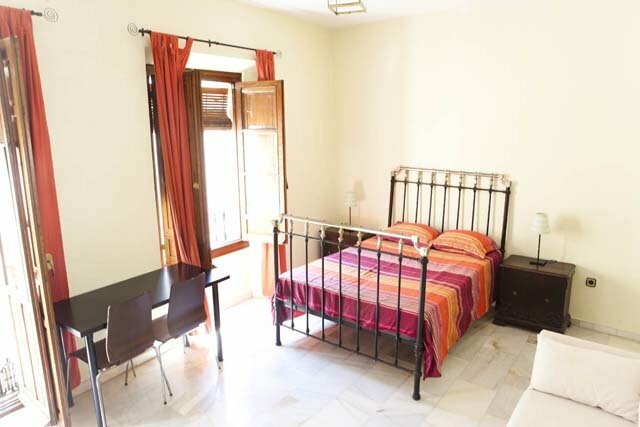 This is one of the oldest areas in the city, birthplace of many famous flamenco singers and bullfighters. 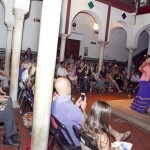 Today it has many small flamenco bars, where late at night guests join in the fun singing and dancing. 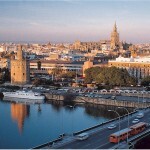 The people of Seville are very friendly and it will not be difficult to make acquaintances everywhere you go. Andalusians are known to be witty with a wry sense of humor. They truly enjoy life on a daily basis, which is illustrated by the fact that the city’s bars, cafes and restaurants are always full!. 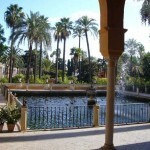 A great location to learn Spanish and experience southern Spain. 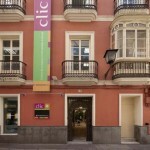 CLIC Seville has been offering Spanish Courses since it was established in 1983. 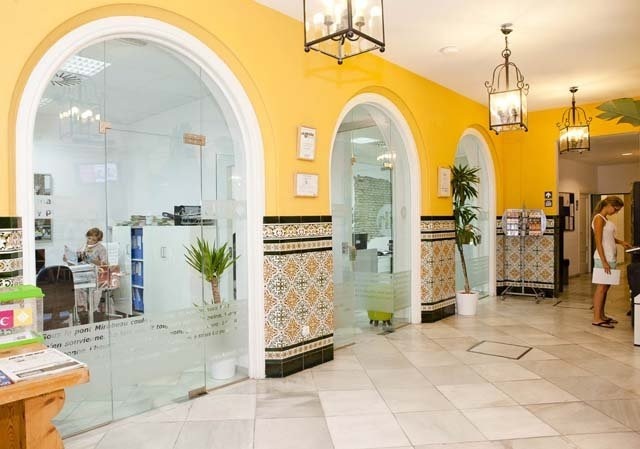 The CLIC Seville Spanish School is approved by the Ministry of Education in Spain, provides excellent Spanish language and culture programs at its center located in the heart of Seville. 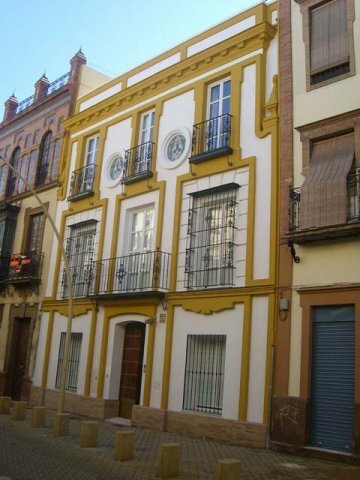 The main center offers Spanish language courses in a typical Andalusian style house located 3 minutes away from the Cathedral. It is a fully renovated facility located on Calle Albareda that houses the administration offices, 28 classrooms, a multimedia center with Spanish titles, 2 audio-visual rooms, a Spanish library, study rooms and a roof top terrace. 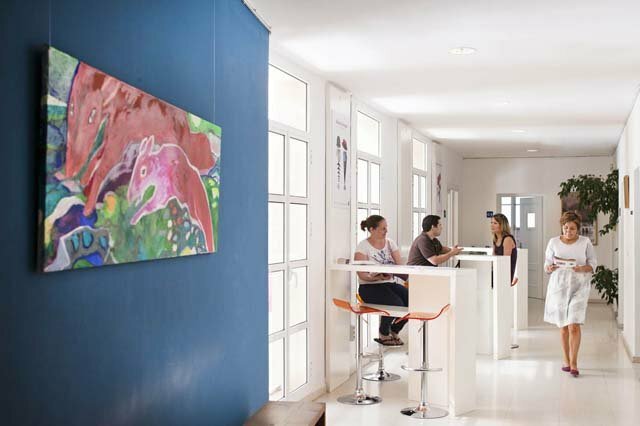 The bright and ample premises assure that students learn Spanish in a relaxed and comfortable atmosphere. All programs include: Oral and written level placement test upon arrival, pedagogical counseling, personal support for student welfare during whole stay, orientation walk and welcome drink, student kit (maps, city info, useful tips, etc.). 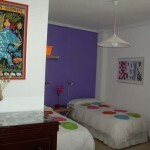 Access to all school facilities such as sun terrace, plunge pool, multimedia room, etc. 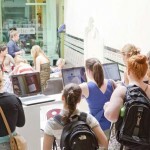 Free WI-FI internet access at school, Certificate of Completion, and CLIC IH student card. Minimum enrollment age: 17. Each lesson is 50 minutes long. 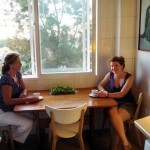 Intensive Spanish Course 20: 20 Spanish Language classes a week, with eight possible levels from Beginner to Proficiency. Students per class: 6 to 10 maximum. 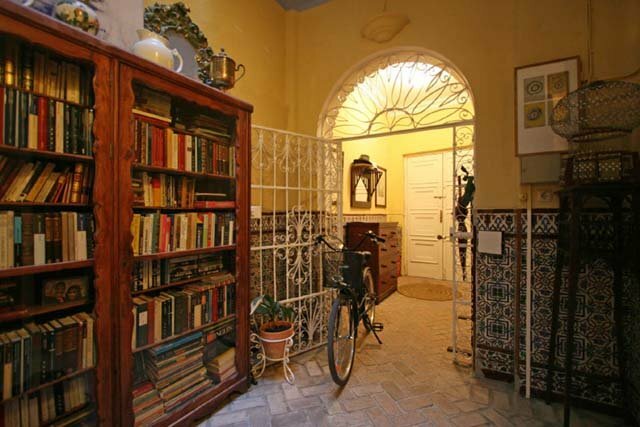 The Intensive Spanish course is the most popular course offered in Seville and will allow you to acquire the level of Spanish you wish to reach leaving plenty of time to explore the city. Class Schedules: Monday to Friday from 09:15 AM to 1:00 PM. Levels Offered: 8 (from beginner to advanced). Intensive Spanish Course 25: 20 Spanish Language plus 5 Conversation classes a week, with eight possible levels from Beginner to Proficiency. The Intensive Spanish 25 course offers additional conversation opportunities for those students interested in faster progress. The timetable is from 9:15 AM to 2:20 PM from Monday to Friday. 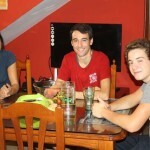 Intensive Spanish Course 30: 30 Spanish Language with eight possible levels from Beginner to Proficiency. 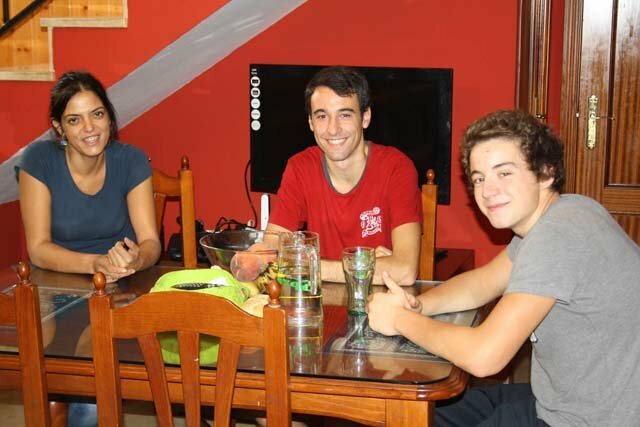 The Intensive Spanish 30 course offers students with a limited amount of time the opportunity to attain tangible progress in one or two weeks. The timetable is from 9:15 AM to 3:10 PM from Monday to Friday. Intensive PLUS 5 Spanish Course: 20 Spanish Language group lessons plus 5 Private lessons a week, with eight possible levels from Beginner to Proficiency. The Intensive PLUS 5 Spanish 25 course offers students interested in faster progress the opportunity to receive personalized attention during the private portion of the course. The timetable is from 9:15 AM to 2:20 PM from Monday to Friday. Premium Intensive PLUS 10 Spanish Course: 20 Spanish Language group lessons plus 10 Private lessons a week, with eight possible levels from Beginner to Proficiency. The Intensive PLUS 5 Spanish 25 course offers students interested in maximum progress the opportunity to receive personalized attention during the private portion of the course. The timetable is from 9:15 AM to 3:10 PM from Monday to Friday. *Course book is not included in price and must be purchased locally (apporx. 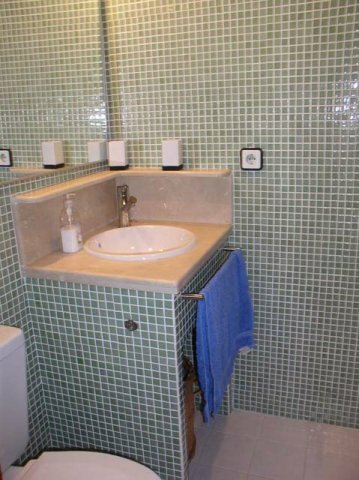 20 Euros per level). Starting dates for all group Spanish Courses: ALL levels start every Monday!! Holidays 2019: 7 January, 28 February, 18 April (school open for cultural workshops), 19 April, 1 May, 8 May, 20 June, 15 August, 1 November, 6 December, 9 December. Additional local holidays may be added in January 2019! Contact us for details!. The school will be closed from 20 Dec. 2019 until 7 January 2020. An international course for students of between 13-17 years old, with a varied social program including sports, swimming, cultural visits, parties, films, visit to a theme park and much more. 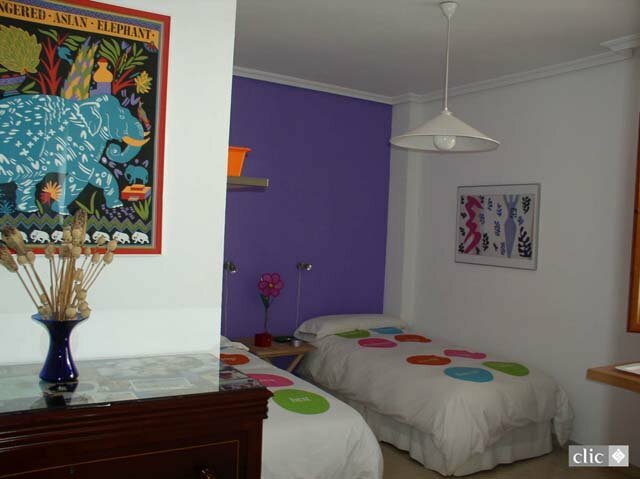 Program price includes round-trip airport transfers, Spanish lessons, accommodation in a host family, double room and full board, daily activities (sports, cultural visits, etc. 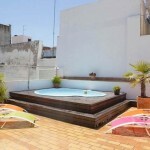 ), Saturday excursions to Cadiz, Cordoba or Vejer, course materials and accident and health insurance. Starting dates for all levels from Beginner to Advanced: 1 July, 8 July (2 or 3 weeks only), 15 July (2 weeks only) and 22 July (1 week only). Levels: All levels from Beginner (A1) to Advanced (C1). Class Size: 6 to 12 students Ages: 13 to 17 years. 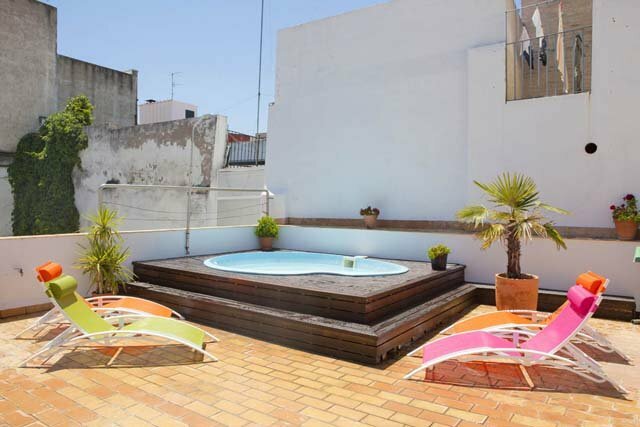 Transportation: Transfers to and from airport or train station in Seville are included. An international combination course with soccer camp for students of between 13-17 years old, with a soccer themed social program. Program price includes round-trip airport transfers, Spanish lessons, course materials, accommodation in a host family with double room and full board, city tour, guided tours through the Sevilla FC and Real Bettis soccer stadiums, soccer training sessions with Surcup trainers, friendly soccer matches, 2 training kits, full day Saturday excursions to Cadiz, Cordoba or Vejer, and accident and health insurance. Starting dates for all levels from Beginner to Advanced: 1 July, 8 July (2 or 3 weeks only), 15 July (2 weeks only). Spanish and Soccer Summer Course for Teenagers – Prices 2019: 2 weeks: USD 1,891; 3 weeks: USD 2,595; 4 weeks: USD 3,314. 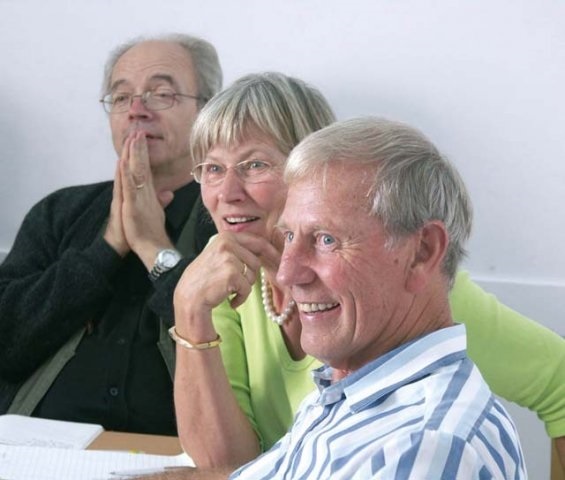 The Spanish language and culture (50+) course was designed some years back for those who fall into this age group, who are looking for a course whose content caters to their interests and that goes at their pace. There is a separate cultural program designed specifically for this course. 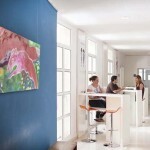 The class sizes are reduced and the class methodology focuses on oral practice and the study of grammar through this. Reduced class sizes enable the teacher to dedicate more time individually to students and therefore incorporate their needs into the class content. 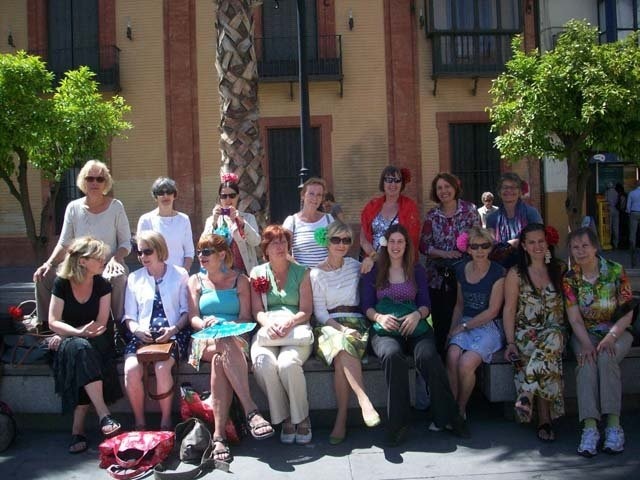 The 50+ Senior Spanish Courses are 2 week programs which consist of: 20 Spanish lessons per week in a small group (5 to 8 students per class), and available to students of Elementary to Upper Intermediate level (no full beginners), a social and cultural program on 4 afternoons or evenings per week (one meal with the teacher, Flamenco show, cultural visits and museums), plus one “highlight” activity according to season (see below). Price includes: tuition, teaching material, orientation walk, welcome drink, social and cultural program on 4 afternoons or evenings per week, plus one “highlight” activity according to season. Notes: accommodations are not included but are available upon request (see “Accommodations” tab for options and prices). 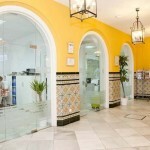 Airport transfers from Seville airport are also available upon request (USD 70.00 each way). Golf facilities and hotel booking also available upon request. You yourself can decide the number of Spanish Language classes per week (10, 20 or more), the duration of the course, and the content (general Spanish and/or technical Spanish). If you wish, you can also have lunch with your teacher and so continue your conversation class. 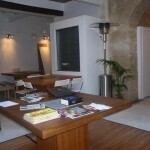 Starting dates for Private Spanish Courses: Any Monday. Each private lesson is 50 minutes long. 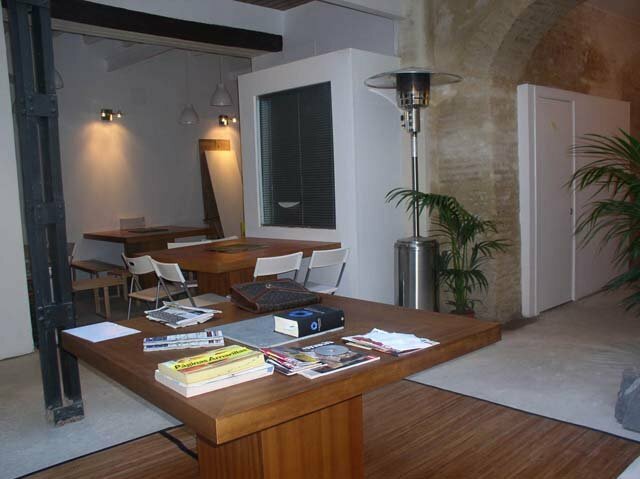 In addition to the Standard or Intensive course chosen, you will receive 8 extra Business Spanish classes a week You will learn how to give and ask for information correctly by telephone, the language of negotiating and business correspondence, and you will also study Spain’s Socio-Economic status. The final course content is, from the very beginning, decided upon according to the specific needs of the students. Please contact us for pricing and details. The most Spanish of all!! 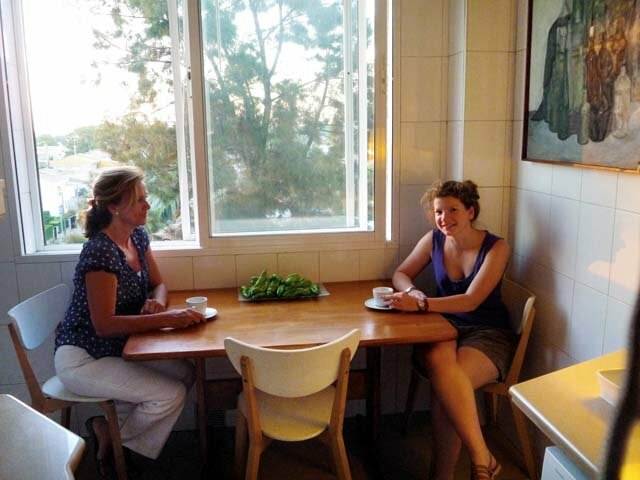 Live and study Spanish in your teacher’s house as his/her only pupil. Become part of the family! 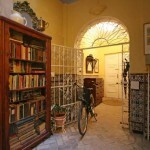 You will receive 20 morning Spanish language lessons per week. 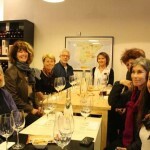 On weekends there are also excursions to surrounding areas on which you can go with your teacher, too. Also, in this way, if you wish, you can make contact with many other teachers and students participating in the cultural program. 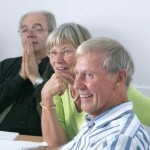 Minimum course duration is one week, and there is no age limit. Please contact us for pricing and details. 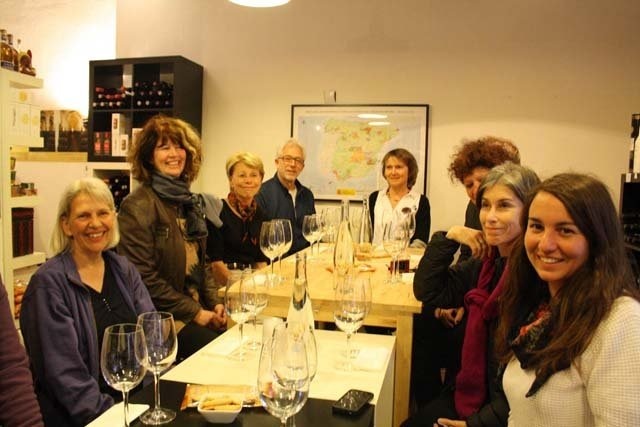 A two-week course for teachers of Spanish designed to bring Spanish language teachers’ knowledge up to date in fields of grammar and pedagogy and recent publications specializing in Spanish as a Second Language. A course based upon the needs of your students and for you to take home lots of new ideas. Please contact us for pricing and details. 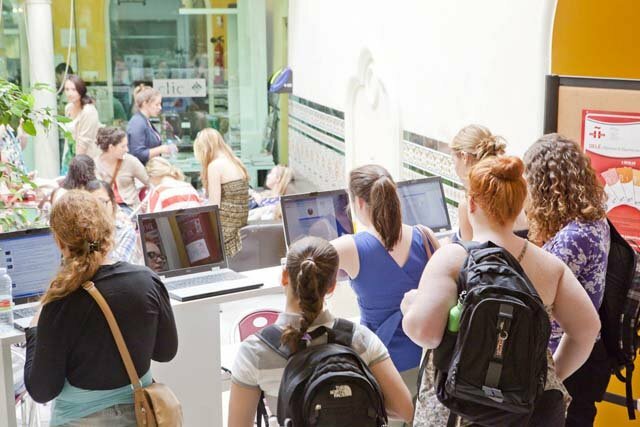 In collaboration with the Chamber of Commerce in Seville, CLIC offers an 8- week preparatory course which ends with students sitting at an official exam in ‘Business Spanish for Foreigners’. The exam takes place in June and November every year. There are 20 classes per week of Spanish grammar and general structures, plus 8 classes of Business Spanish in a group of 6 to maximum 12 students. Topics covered in this course are, for example: general business correspondence, negotiating, socio-political geography and the position of Spain in the Hispano-American and international market. This course is ideal for professionals working in imports and exports or for those who wish to work in any branch of commerce in Andalusia. On passing the exam students are awarded the ‘Certificate of Business Spanish’ of the Chamber of Commerce, Industry and Navigation of Seville. 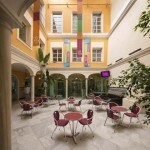 If you wish, CLIC will also help you to find a job or work experience in Andalusia. Past exam result: 100% pass rate. Please contact us for details. IMPORTANT: Holy Week and the “Feria de Abril” are extraordinarily popular and thousands of visitors come to Seville to experience them, if you wish to take a course during these dates, please make your reservation as early as possible. CLIC Seville offers accommodations with local host families, in apartment shares, studio apartments, one bedroom apartments, and at the CLIC off-site residence halls. Students staying at CLIC residence halls have full use of the common kitchen and can choose rooms with either shared or private bathrooms. 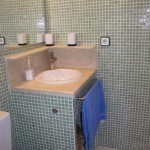 * Private bathroom option is now available in host families at an additional fee of USD 58 per week. Special diets (vegan, gluten free or lactose free) are available at a USD 13 per week surcharge. 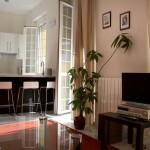 ** Studio Apartment prices are per apartment, not per person!. 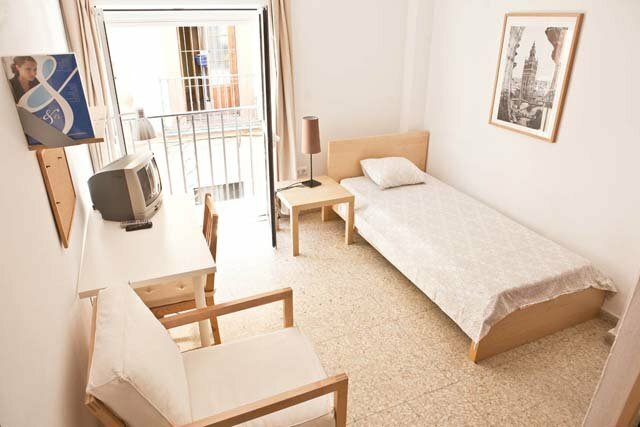 Utilities up to 50 Euros per month are included. 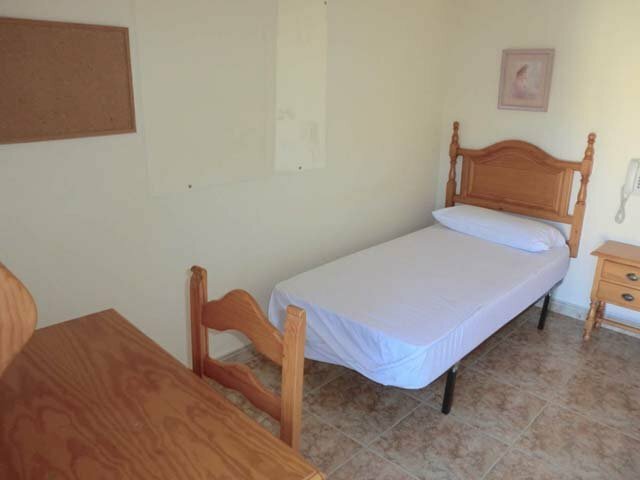 Refundable deposit may be required by landlord (150 Euros). 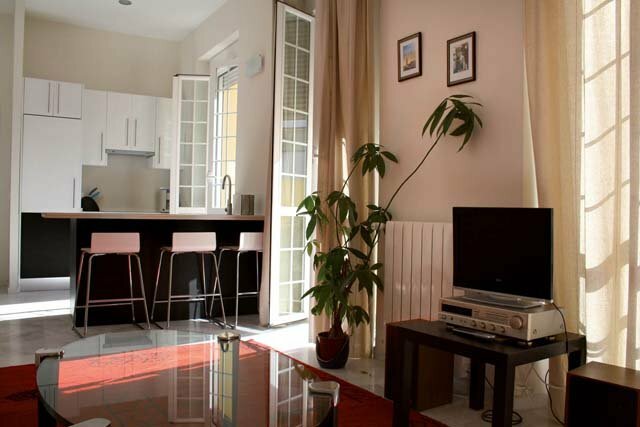 End of rental cleaning fee for all apartments: 40 Euros (payable locally). A High Season Surcharge of USD 32 per for Standard Studio Apartments and USD 63 per week for One Bedroom Apartments applies from 17 March to 26 May 2019 and from 16 September to 3 November 2019!! 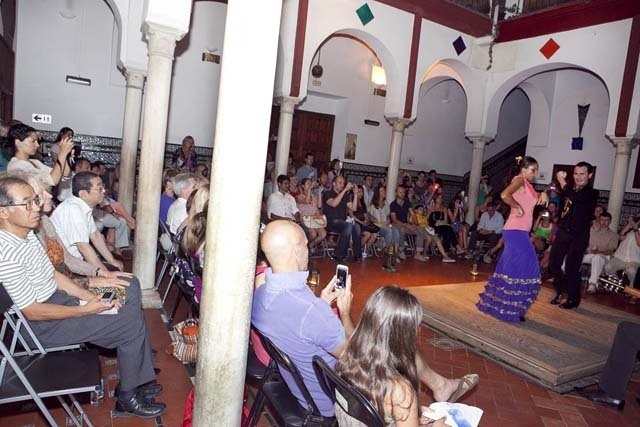 In addition to the Spanish Courses in Seville, CLIC Seville offers a full range of cultural activities which allow students to immerse themselves in the local culture. The beach is just an hour and twenty minutes away. The city offers free concerts and neighborhood “fiestas”. Nearby town festivities are inexpensive and also a worthwhile cultural experience. 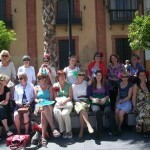 Several activities are offered free of charge each week (walking tour of Seville, cinema at school, etc.). Some activities and all excursions require an additional fee.